BERLIN (Reuters) - The German state of Hesse has approved an amended fee proposal for Frankfurt airport for 2017, allowing operator Fraport <FRAG.DE> to increase fees but angering the airport's main customer Lufthansa <LHAG.DE>. Irish budget carrier Ryanair <RYA.I> announced last month plans to start flying from Frankfurt airport next year, prompting calls from Lufthansa for airport operator Fraport to lower fees for all carriers. The Hesse economy and transport ministry said in a statement on Friday that one aspect of the new structure awards incentives to airlines that increase their passenger numbers from the airport, such as by opening up a new route or increasing capacity. The ministry said, however, it was easier for new airlines to grow more rapidly than airlines already serving the airport. 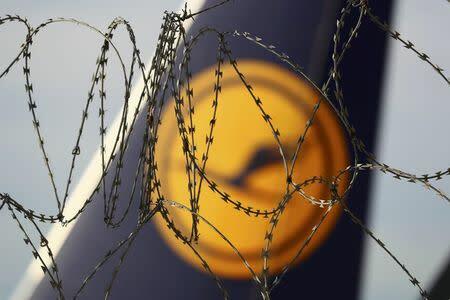 Lufthansa, which accounts for two thirds of passenger volume at Frankfurt, said in response it would also be proportionally hit harder by an overall 1.9 percent increase in fees for take-offs and landings and was therefore examining its options regarding the decision. "We feel that we have been put at a disadvantage in comparison with airlines that are new to flying out of Frankfurt. It can't be possible for two airlines to fly the same route but pay different fees," Lufthansa board member Harry Hohmeister said in a statement. Kepler Cheuvreux analyst Ruxandra Haradau-Doeser said Lufthansa would likely have to increase passenger numbers by at least 3 percent a year to benefit from the incentives. A spokesman for Ryanair said the carrier would not comment on its commercial arrangements. Fraport, which has seen passenger growth slow this year, said it welcomed the approval, adding that it meant higher fees for noisier planes, and the incentives would help boost passenger numbers. Haradau-Doeser said the fee increase would likely lead to a small upwards revision of analyst estimates for Fraport's 2017 earnings.